Minutes Solutions has established strategic partnerships with a handful of reputable, and carefully selected companies. The purpose of these partnerships is to offer relevant services, that our clients and non-clients alike can benefit from and receive at a discount when booked through us. Our partners offer a variety of different services, and are carefully vetted to ensure that they maintain and value the same quality and integrity that we do. For more information about our partners, please read on. Parity simplifies energy management, improves resident comfort, and positions condominiums for long term benefit. (Their average customer saves $60,000/year on utilities). No upfront investments required. Energy is measured in real time and the savings are guaranteed. Pacific Light & Energy specializes in providing customized turn-key lighting and energy efficiency solutions for Commercial, Industrial and Multi-Residential clients. Pacific partners with clients and utility providers to deliver verifiable energy savings through expert planning, unbiased procurement and professional installation. Contact Minutes Solutions to arrange a free, no obligation evaluation of how these projects will increase property value and lower operating costs and to find out about our partners discount. GetQuorum is an electronic proxy voting system designed specifically for the condominium market. The software allows corporations to boost owner engagement with increased transparency, all while saving on printing and mailing costs. GetQuorum is trusted by hundreds of Ontario based condo corporations for their meetings and budget distributions. SWTCH is a turnkey solutions provider for electric vehicle (EV) charging management in multi-tenant settings. SWTCH works with property managers from charger installation through ongoing management. Contact Minutes Solutions to learn more. 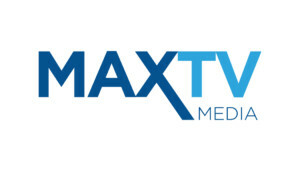 MaxTV Media is Canada’s largest provider of interactive digital communication screens. Their platform and models are designed to provide the best solution to enhance daily communication needs and requirements inside elevators, in mail rooms, lobbies, and parking levels. Features such as notices, classifieds, interactive surveys, parcels, and many other features that are in daily usage by both condo residents and management. Contact Minutes Solutions to learn more. Max Condo Club is an advanced condo management and residents’ portal software supported by a mobile app and is integrated with many different types of accounting software. Their software allows both residents, management, and security a user-friendly experience in daily condo needs such as amenities booking, visitors parking, parcels, service requests, email merge, documents, and many others. And the FUN part is, the software is offered at no monthly cost. Contact Minutes Solutions to learn how you can implement this for your building. GLC has positioned itself as a firm that provides its clients with stability and certainty in these uncertain times. Their abilities pertaining to condo meetings range from assisting boards with properly creating and facilitating proxy forms, to chairing the meetings themselves, all in accordance with the most updated laws. GLC is also experienced with condo litigation, representing owners in court to ensure that management and boards act fairly, justly, and in accordance with their legal obligations. 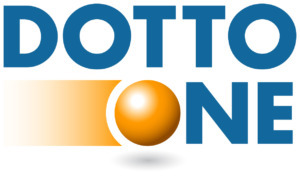 Dotto-One specializes in delivering fast and cost-effective internet to condo residents. They build and manage their own fibre optic network and aren’t a reseller like many alternatives in Toronto. This allows Dotto- One to offer residents faster speeds at great rates. 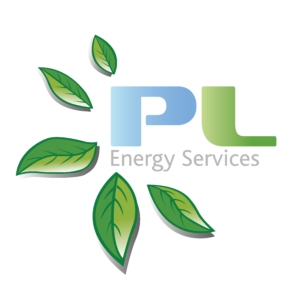 PL Energy Services is a Professional Engineering firm focusing on Energy Reduction and Conservation, utilizing a 5-Year Energy Reduction Plan to uncover cost-effective energy reductions; reducing utility expenses and extending equipment life.